Bikesharing has become explosively popular in China. Against that backdrop, two of WRI China's experts on sustainable transport discuss the need for careful consideration of ways that urban design can protect cyclists while promoting this low-carbon alternative. This post originally appeared at China Daily. The renaissance of bike-riding is a welcome development, so let's improve conditions for the users. Orange, yellow, blue, green, rainbow... bike lanes in Chinese cities are quite colorful these days. Thanks to the new bike-sharing business, one of the greenest and healthiest ways to travel—cycling—is experiencing a surprising renaissance in China. 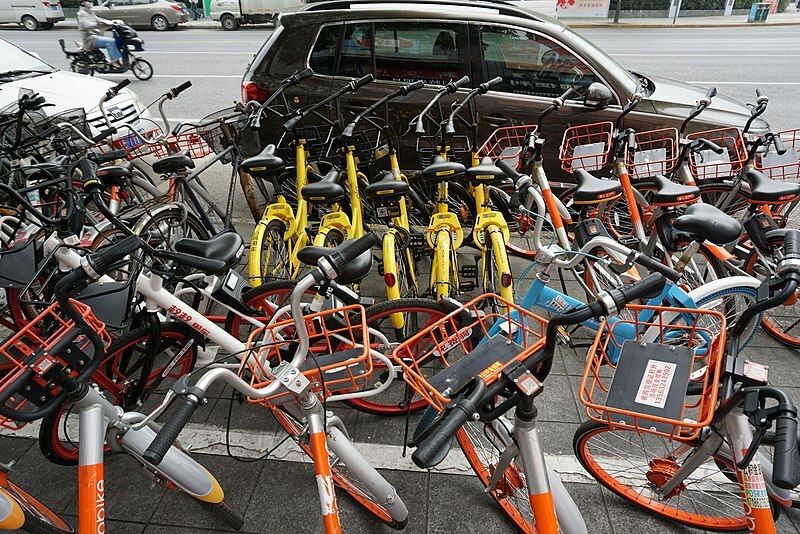 The new bike-sharing companies, such as Mobike and ofo, have placed more than 16 million shared bikes in at least 150 cities. They are changing the way people commute. While cycling is becoming more fashionable than at any time in the recent past, there are more fundamental improvements in infrastructure that cities should make to create a safe, convenient and enjoyable cycling experience. According to the World Health Organization, about 8 percent of traffic deaths in China are cyclists (excluding motorized two-and three-wheelers). Another survey in 2013 found that 85 percent of Chinese residents are not satisfied with their cycling environment. The reasons can be attributed to traffic safety, bike lane design and network coverage. In World Resources Institute's publication Cities Safer By Design, our experts investigated the relationship between vehicle speed and crashes. It found that higher speed contributes to more traffic incidents. Moreover, a crash speed of 50 kilometers per hour could put the fatality rate of vulnerable road users as high as 80 percent. Cyclists are exposed to greater dangers when they share the roads with heavier, high-speed vehicles. Wide intersections are the blackspots for traffic safety in China because the complex traffic and conflict points create a hostile environment for cyclists to cross and turn. Another safety issue is at bus stops, especially when cyclists find themselves obstructed and trapped by approaching buses. Lowering the speed limit of vehicles where bike users are present, narrowing the width of intersections and installing protected bicycle lanes with traffic-calming measures - especially, in suburban or peripheral areas where heavy vehicles roam the streets and cars travel at high speeds - can improve safety for cyclists. Moreover, designing more friendly cycling spaces is important. Cyclists are forced to share limited space with parked cars, mopeds and delivery vehicles. In many places. Those vehicles block the bike lane and force cyclists to ride in the traffic lane or on sidewalks. This creates conflicts between bicycles, vehicles and pedestrians and has negative impacts on safety and comfort. Cities have yet to formulate proper regulations and enforcement to manage this issues. For cycling, a systematic approach is the best way to improve safety and comfort. For example, although Chinese cities are building extensive bike lanes, some are one-ways that end abruptly without connecting to other transport networks. Piecemeal interventions can improve a section of road or an intersection but will not have much impact on the safety and further development of cycling. This suggests that cities should create cycling network plans linked with greater transportation infrastructure. Some innovative cities have already proposed such plans. Shanghai, for example, is working on plans that will improve the safety of its cycling network. Such networks, sometimes called "greenways", not only connect bike lanes on urban roads, but also integrate them with recreation areas and multiple modes of transportation, such as subways and buses. A cyclist in Shanghai. Flickr/Beyond Neon. In addition to bike lane design, other bike facilities are also important to a safe and enjoyable cycling experience. Because of the overwhelming popularity of bike sharing, existing facilities cannot meet the demand. As a result, sidewalks are clogged with parked bicycles, especially around transit stations. This has created conflicts between cyclists, pedestrians and transit users. Some policymakers have begun to think bike sharing is a nuisance. However, the issues can be mitigated by careful planning. Dedicated bike parking should be carefully designed to be meet the needs of bicycle users. Moreover, other facilities can help create a safe and enjoyable cycling environment - bicycle traffic lights, street lighting, bike lane pavement and shade, for example. 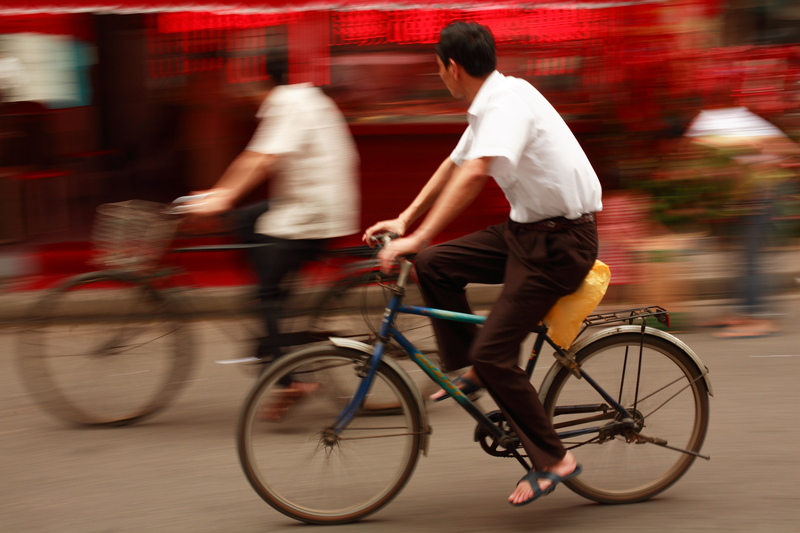 It is exciting to see that cycling is making a comeback in China. However, the growing demand has put a strain on the system. The decision-makers should respond to the increasing demand by providing new cycling facilities and upgrade the existing infrastructure to provide safe, convenient and enjoyable facilities for the cyclists. However, it is still common to see policies that prioritize motor vehicles over bicycles. The decision-makers should put people at the heart of the process and utilize this opportunity improve the livability of cities. How Did Shenzhen, China Build World’s Largest Electric Bus Fleet?